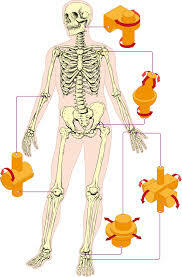 In our grade 8 science classes, we are learning about bones & muscles. We will soon learn about digestion, our cardiac system, and our respiratory system. I started working at SPS in 1999- seems like just yesterday! There are so many things about St. Pius V School that I love. SPS helps me to be the kind of teacher that I want to be. To me, instilling a love of learnng in students is so important. I try to convey my enthusiasm about my subjects to my students in the hope that they will also become enthusiastic learners.